Note: Eric pointed me to a SQL Compact Toolbox he wrote that does a better job and quicker to setup. 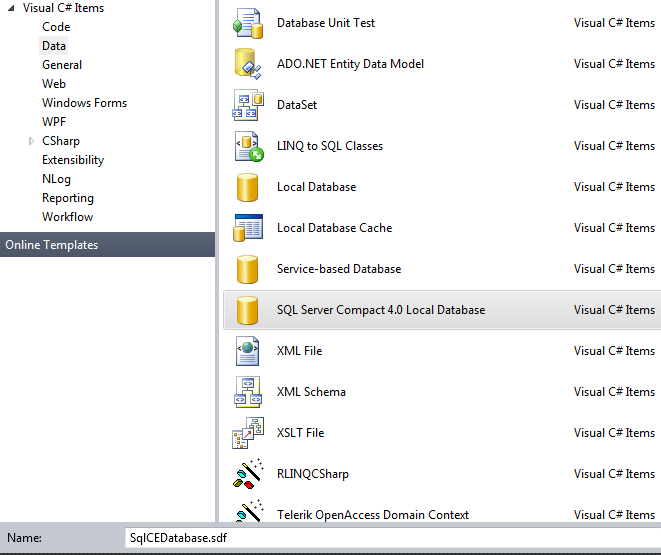 So this week I wanted to add a local database to my application and I got the bright idea of since I am using Visual Studio 2010 SP1, .NET 4 and Entity Framework why not just use SQL CE 4.0. It cannot be that hard to implement over SQL Server or SQL Express. Boy what a journey this was, but I am still happy with my decision to continue with this. So here are the steps to accomplish this feat, and I have tested Entity Framework 4.3 and it does appear to still be an issue. The first thing needed is to install Entity Framework 4.3, this can be accomplished through Nuget. 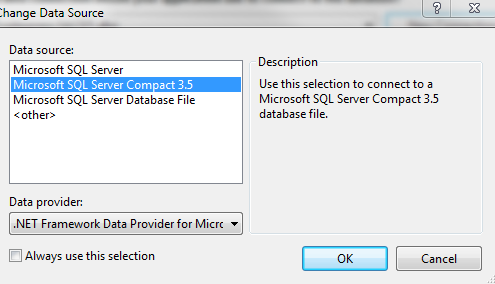 This may not be the fault of Entity Frameworks (4.1 – 4.3) but Microsoft SQL Server Compact 4.0 is not listed. So what needs to be done if basically trick Entity Framework into thinking it wants to connect to compact 3.5. It may not be necessary but this error might present itself. I said yes to it. around line 7 the schema namespace should be defined. 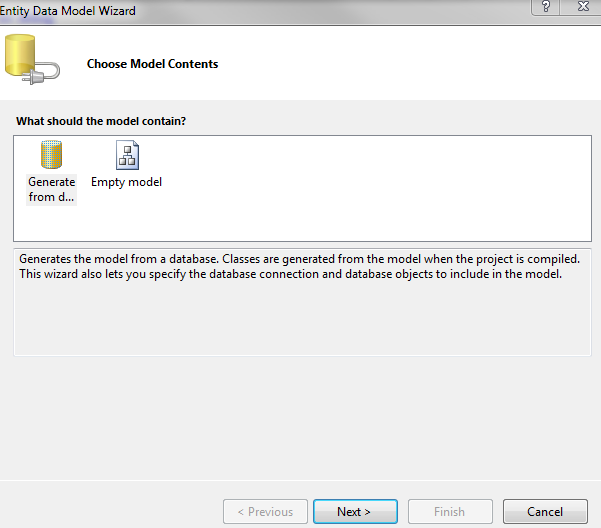 If it is not there, you may need to open the model and run an update from database with the temp SQL SE database listed. 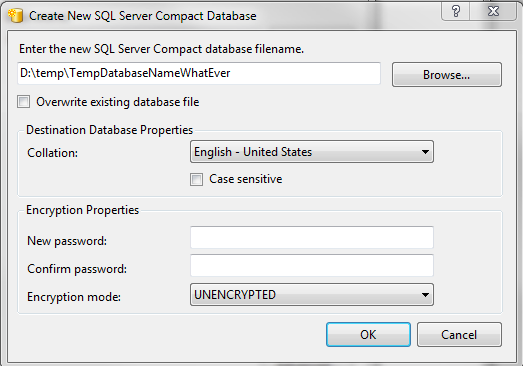 Open up App/Web.config and change the provider from System.Data.SqlServerCe.3.5 to System.Data.SqlServerCe.4.0. 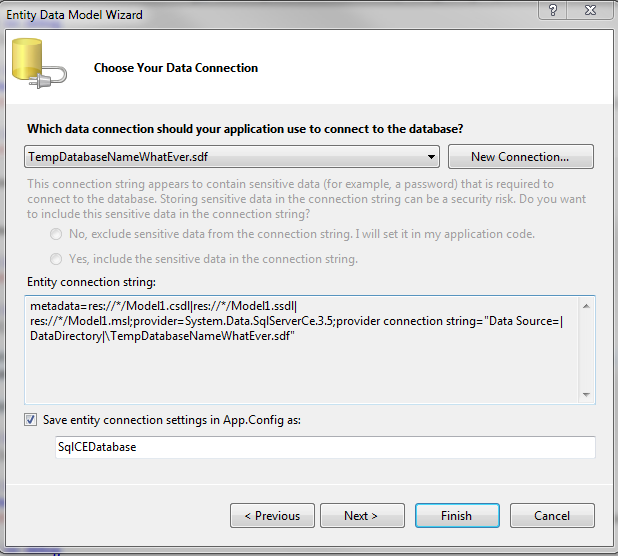 Once the changes are saved, the temp CE 3.5 data file can be deleted and Entity Framework should now work fully with it. 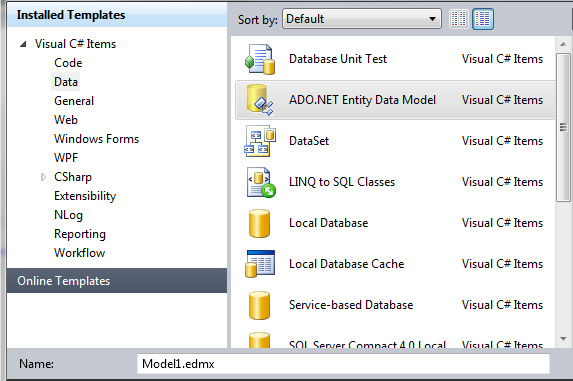 This entry was posted in Database and tagged ADO.NET, C#, Entity Framework, SQL CE. Bookmark the permalink. You could also use the SQL Server Compact, and what you describe above becomes a silnle clikc processs. Hey Erik, thanks for the suggestion. if you have a free moment could you show me, I could be missing something? All I have for options is compact 3.5 from entity framework model. 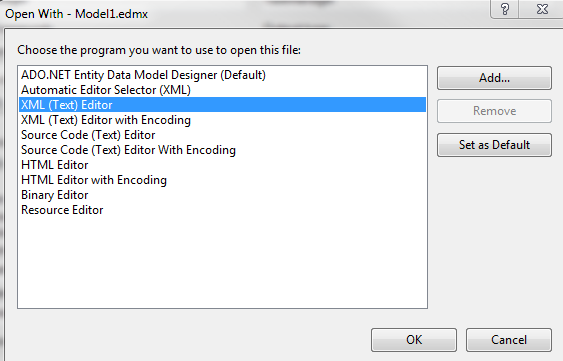 Typo – I meant the SQL Server Compact Toolbox add-in – I can create an edmx in any project type, not only web projects. Ah thanks, I will edit my post to point them to your toolbox. I downloaded it yesterday, some great stuff. Hi sir. Thank you very much…am doing my final year project…your suggestions help me a lot….